Photo from Unsplash.com, used by permission. 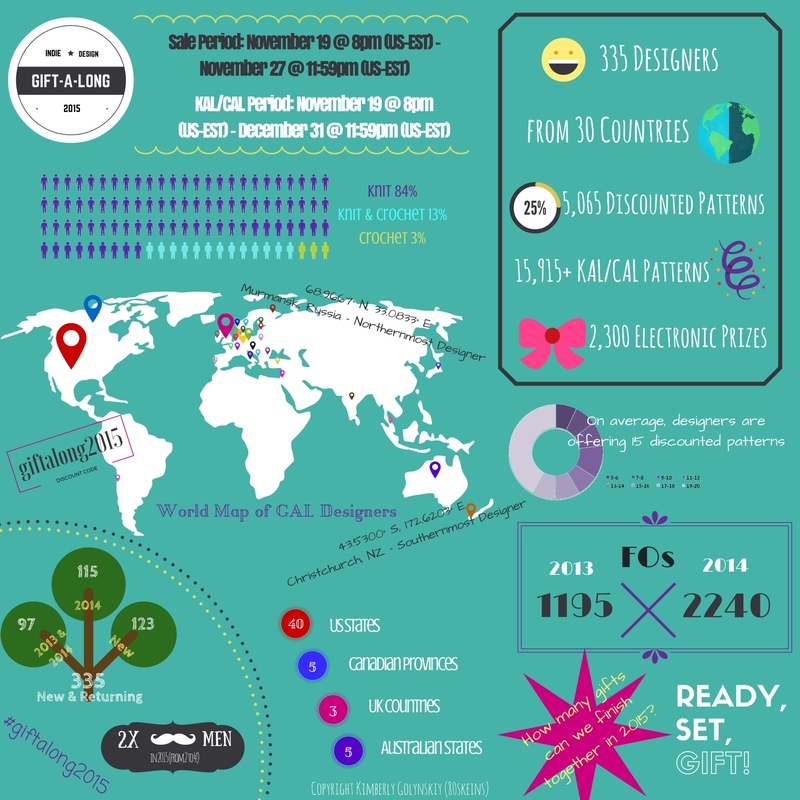 Something big is happening on Ravelry, the 3rd annual Indie Design Gift-a-Long! 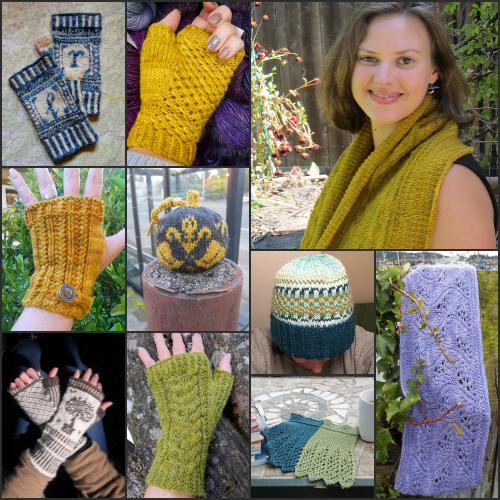 The Gift-a-Long (GAL), a collaboration of 335 independent knit and crochet designers, features a week-long sale and a knit-a-long/crochet-a-long (KAL/CAL) through the end of the year. There are tons of prizes, for ongoing games throughout the GAL and, at the end of the GAL, random winners drawn from among those who have posted pictures of their finished objects. All 335 designers are here. There’s one post per designer – most posts include a photo indicative of the designer’s style, and each post has a link to the designer’s Ravelry page. This bundle shows all the sale patterns. The sale ends November 27, 2015 at 11:59 P.M. EST. I love this infographic! It’s amazing the amount of effort, talent and enthusiasm being poured into this event! Picture copyright Cheryl Chow; used by permission. I think these mitts are a lovely design, and I love the muted colors Cheryl used. The pattern is clearly written and the mitts look to be a fun project. I can’t wait to go hunt through the stash to find the right yarn. Also very cool, Cheryl is another Pacific North Westerner, hailing from North Bend, Washington! Knitting friends, I hope you’ll come check out the Indie GAL. It’s lots of fun and is a wonderful way to meet some new designers.